For use with standard adaptors. 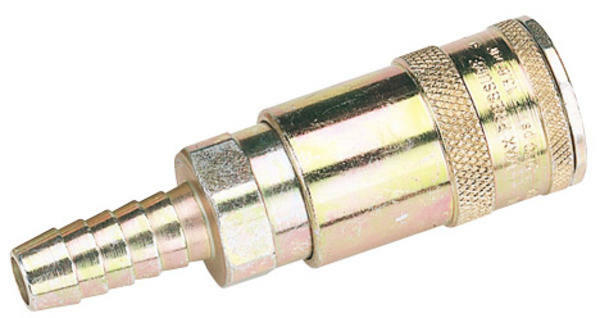 Double action mechanism prevents accidental disconnection and makes the coupling particularly suitable for trailing hose applications. Maximum airflow rate 1197L/min (42cfm) at 6.9bar (100psi). Maximum working pressure 13.8bar (200psi). Sold loose.